It’s hard to believe how rapidly has the processing power of smartphones increased over the last few years. Android smartphones running on cutting-edge mobile processors, such as the Qualcomm Snapdragon 820 and 821, could easily compete with many mass-market desktop computers. In this article, we take a closer look at some of the most powerful smartphone chipsets, differences between them, and top 5 best Android smartphone that take full advantage of their superior processing power, battery efficiency, and connectivity. As with all Snapdragon 820 and 821 phones, all 5 phones below have dual sim capability, but Google Pixel does not offer this function in its hardware. The Exynos 8890 is Samsung’s premium application processor built on 14nm FinFET LPP process technology, according to their official website. 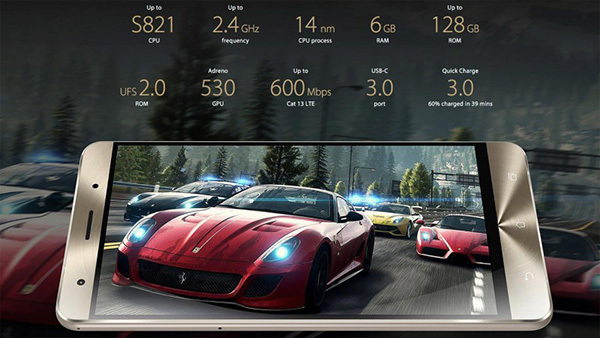 It features eight CPU cores including Samsung custom-designed CPU core based on 64-bit ARMv8 architecture and provides over 30 percent improvement in performance and 10 percent in power efficiency compared to the Exynos 7 Octa.The processor features the Mali T880 GPU for smooth 3D gaming, virtual reality, and up to 4K UHD (4096×2160) & WQUXGA (3840×2400) display resolution support. Even though the Snapdragon 820 is built on the same 14nm FinFET LPP process technology, it has “only” 4 Qualcomm Kryo CPUs. Also different is the GPU: instead of Mali T880, the Snapdragon 820 sports the Adreno 530 GPU. Other than that, the processor is comparable in essentially every category, including connectivity, power efficiency, and memory support. In AnTuTu, the most popular Android smartphone and tablet benchmarking app in the world, the 820 scores around 136,000 points, and the 8890 scores around 130,000 points. For comparison the now mid-range Helio X10 processor, which still feels snappy and handles all modern games with ease, gets only 50,000 points, making the Exynos 8890 and the Snapdragon 820 very similar in this regard. So, the simple answer is that the Snapdragon 820 is better for running graphics and the Exynos 8890 is better for loading apps faster. “Building on the technology leadership introduced with the Snapdragon 820 platform, the 821 is engineered to deliver faster speed, improved power savings, and greater application performance, ensuring 821 powered devices keep pace with the growing performance demands of users to deliver the unmatched user experiences the Snapdragon 800 tier is known for,” explains Qualcomm in their official press release for the Snapdragon 821. The new version of the high-end processor can now reach speeds up to 2.4GHz, delivering a 10% performance increase over the 820. Qualcomm states that the 821 “is designed to complement and extend the competitive strengths of our Snapdragon 800 lineup,” rather than to replace it. In other words, the company wants to ensure that when Samsung or MediaTek come up with a new mobile processor, customers won’t be tempted to get a new, shiny device. The Samsung Galaxy S7 edge is available either with the Exynos 8890 Octa CPU or the Qualcomm MSM8996 Snapdragon 820, so you can choose whether you want better application performance or higher frame rates. In either case, the 5.5” smartphone looks gorgeous, especially thanks to its curved Quad HD super AMOLED screen with 534 ppi pixel density. The S7 is IP68-rated, making it water-resistant up to 30 min in 5 feet of water. It comes with a large 3600 mAh battery, which should get you through the entire day without having to lean back on the fast battery charging feature capable of charging the battery to 60 percent of its maximum capacity in just 30 minutes. 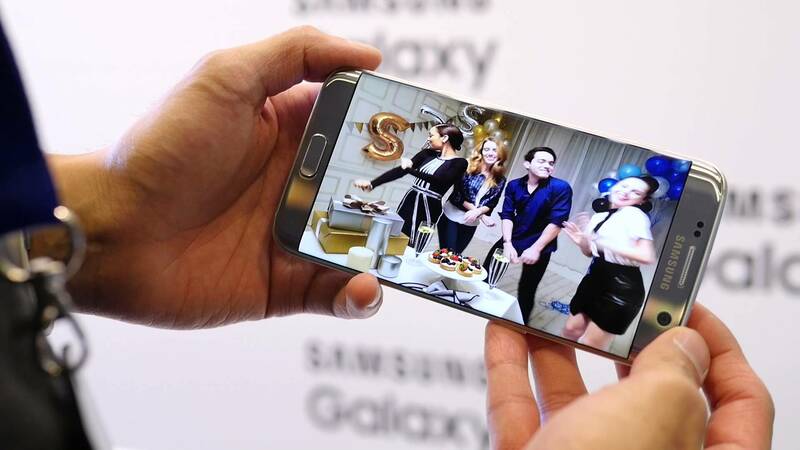 Like with any smartphone from Samsung, you get an excellent picture and video recording quality. The 12 MP sensor supports simultaneous 4K video and 9MP image recording, touch focus, face/smile detection, Auto HDR, and other handy features. 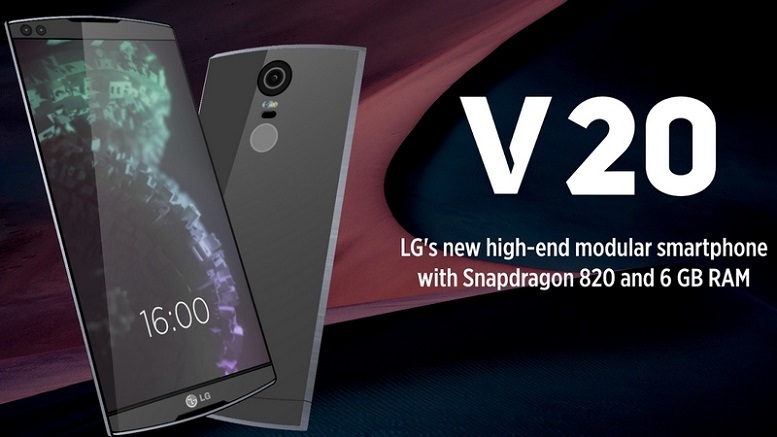 The most exclusive smartphone from LG, the V20, is yet to be released, and countless customers from around the world are already anxiously waiting to see whether it will deliver on its promises. And there are many of them. The V20 features a technology called Steady Record 2.0, which is just a fancy name for optical image stabilization, and Hi-Fi Quad DAC alongside three intelligent mics for Hi-Fi audio recording. It’s also one of the first smartphones to be shipped with Android’s newest OS, Android Nougat. With Nougat, you get to enjoy the multi-window view on V20’s gorgeous 5.7-inch screen with ~513 ppi pixel density. But best of all, the LG V20 will be compatible with Google’s Daydream VR efforts, allowing you to experience unprecedented virtual reality adventures. 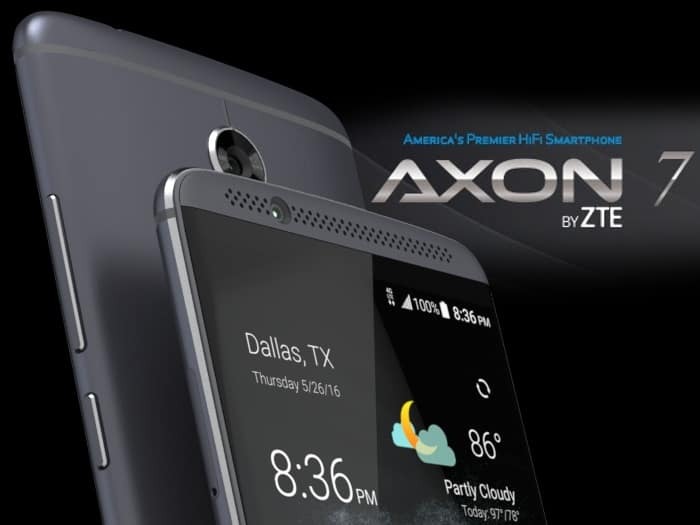 The ZTE’s flagship Axon 7 and its little brother, the Axon 7 mini, show the engineering prowess of the Chinese multinational telecommunications equipment and systems company headquartered in Shenzhen, Guangdong. The ZTE Axon 7 has 4 GB of RAM, Qualcomm MSM8996 Snapdragon 820, Adreno 530 GPU, and a vibrant 20 MP camera with phase detection autofocus and dual-LED flash. The smartphone is a dream-come-true for audiophiles, who will appreciate the presence of dual Hi-Fi chipsets that deliver the highest level of audio quality with up to 32-bit Hi-Fi playback and recording. 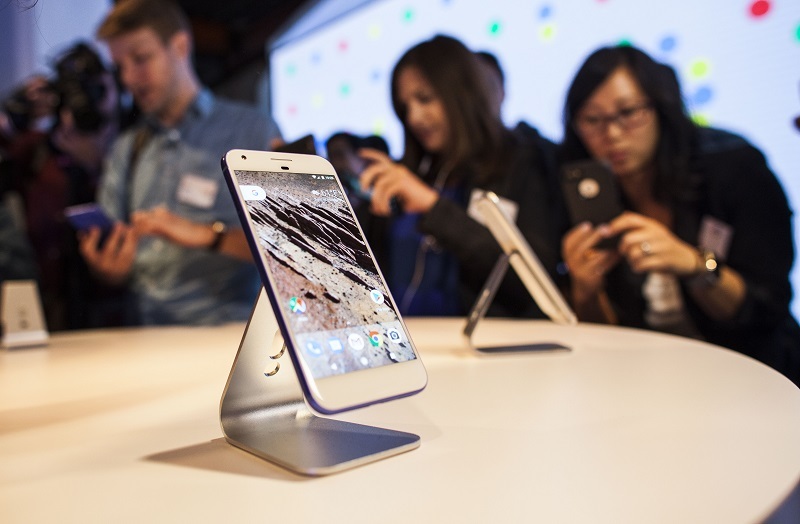 The first smartphone made entirely by Google, Pixel. It’s ready for the company’s new Daydream View VR headset and has the highest-rated smartphone camera ever manufactured. What’s more, it’s also the first phone with the Google Assistant built in. What’s Google Assistant? You can think about it as Google’s take on Amazon’s Alexa, Apple’s Siri, and Microsoft’s Cortana. The Assistant is backed by advanced artificial intelligence. Under the hood, the Pixel has all hallmarks of a flagship device: 4GB LPDDR4 RAM, Qualcomm Snapdragon 821, USB Type-C with fast charging support, and more. You can choose between a 5” model, simply called Pixel, and a 5.5” model, called Pixel XL. Released in August, the ASUS ZenFone 3 Deluxe dazzles with its all metal body, which features an invisible-antenna design. Specs-wise, the smartphone comes with the latest 821 processor paired with an Adreno 530 GPU and 6GB of RAM combined with 256GB of UFS 2.0 memory. It also happens to be the world’s first smartphone running on the 821 processor, with Google Pixel (mentioned above) being the second. It’s one of the first smartphones to feature Sony’s latest IMX318 sensor. “The IMX318 is a type 1/2.6 stacked CMOS image sensor with 22.5 effective megapixels, and it boasts a more compact size, greater image quality, and higher performance,” explains a press release from Sony. At the end of the day, the 10-or-so percent of performance difference between the 820 and the 821 will have a negligible effect on your day-to-day experience. Both processors are powerful enough to handle heavy multi-tasking scenarios and graphically demanding 3D games that are yet to be released. Hey,whatever happened to the LG-G5 ??? ?